Welcome to South Shore Cabins! Welcome to South Shore Cabins, formerly South Shore Condos. We are located on the Wisconsin side of the famous Cisco Chain of Lakes on the south shore of Big Lake. Beautiful veiw of the lake from all cabins. 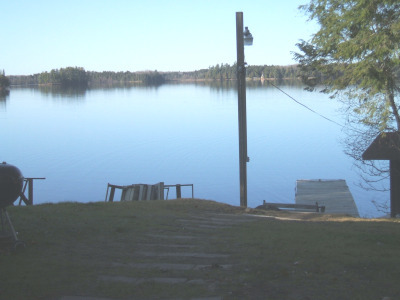 Come and enjoy the peace and quiet of the Northwoods. Kick back and relax, do some fishing, take a hike or just unwind. When you come back in from you fishing trip and it's time to clean you catch for the day, you will enjoy cleaning your fish in our fish cleaning house. The fishing on the Cisco Chain is great. You can fish for walleye, northern, largemouth bass, smallmouth bass, crappie and all types of panfish. There are 13 lakes for you to enjoy with lots of downed timber and structure to fish in. 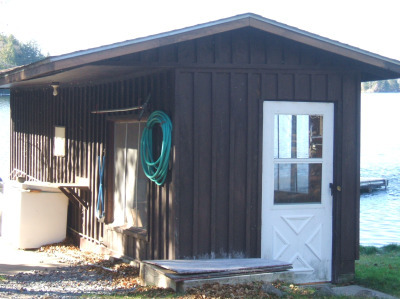 Land O' Lakes Wisconsin resort vacation cabin rentals at South Shore Cabins on Big Lake. Land O' Lakes Wisconsin fishing, hunting and snowmobile vacations and resort cabin rentals in Vilas County near beautiful Land O' Lakes Wisconsin.